You're Invited to Join the Club! 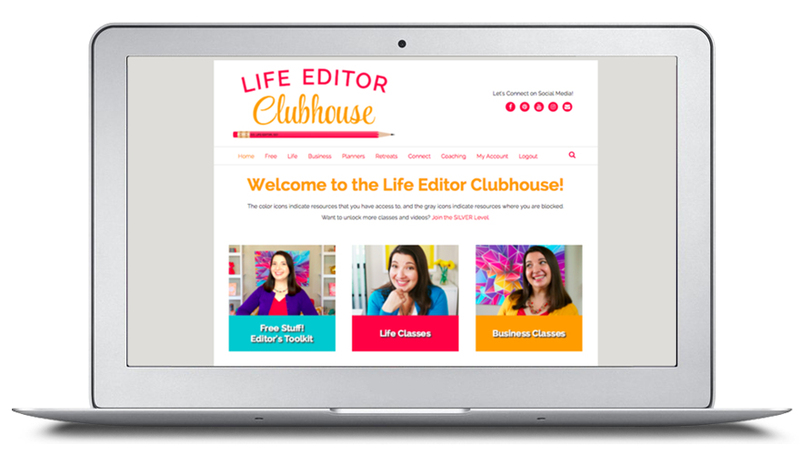 The Life Editor Clubhouse is a membership site for every single product, program, and service I create. 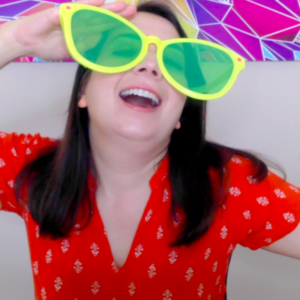 It's your one-stop shop for all my life editing goodies. 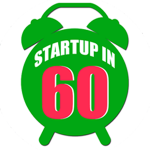 115+ hours of video and audio content to help you edit every part of your life and business. 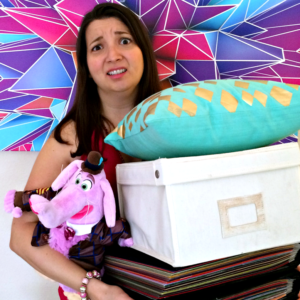 40+ video Clubhouse Classes to walk you through the 5 steps of the Life Editing Process. 25+ printable worksheets to help you stay organized and productive. And much more! New resources and programs are added monthly. 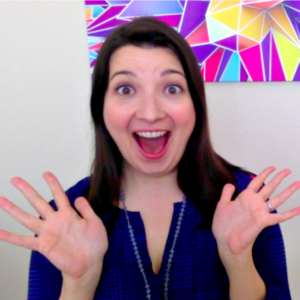 One annual charge gets you dozens of life editing courses and tools! The SILVER annual subscription is the cheapest way to take advantage of my expertise and participate in my classes. 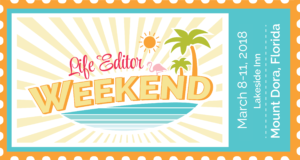 The Life Editor Clubhouse has everything you could possibly need to save you time and effort so that you can edit your life and business with ease. No more spinning your wheels or feeling lost. to walk you through the steps of editing your life and business. to help you stay organized and productive. to help you edit every part of your life and business. training videos from the live event. GOLD and PLATINUM mastermind groups a full month before the public. 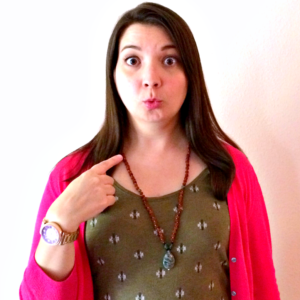 so you can speak directly to me and get answers to all your life editing questions! See full list below. books, tools, and apps that I use on my own life editing journey. every March and September for as long as you're a Silver Level member. to get support from other Life Editors! exclusively for Silver Level members. Lock in your annual subscription rate for as long as you remain in the Clubhouse. Your price stays the same even if the cost increases for new folks in the future. Ready to Join the Club? It’s Time to Edit Your Life! renew or cancel after 12 months. 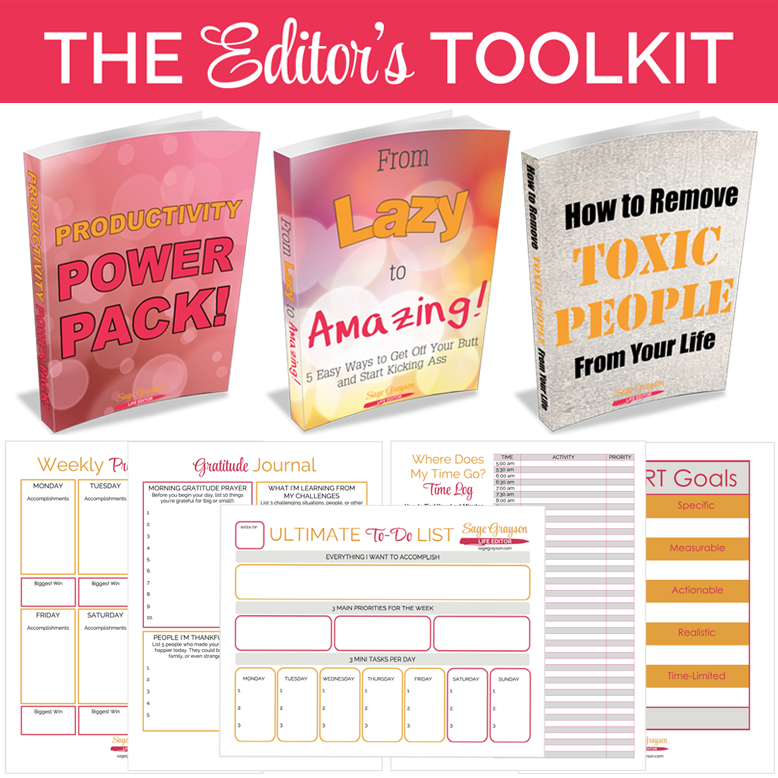 The Editor's Toolkit has dozens of free ebooks, worksheets, and resources including the Productivity Power Pack, From Lazy to Amazing!, How to Remove Toxic People From Your Life, and Face Your Fear Digital Guidebook. Also enjoy my recommended books and websites. CLICK HERE to join at the free Editor's Toolkit level. Includes the digital versions of the 2019 Life Goals Planner, 2019 Business Goals Planner, and Undated 12 Week Planner. 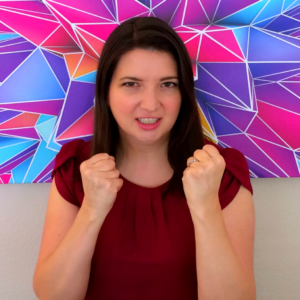 My flagship group coaching program is back! 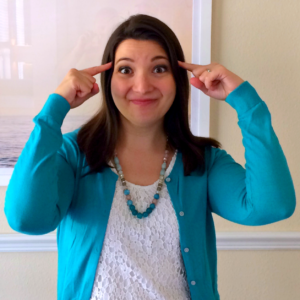 Join me for 5 weeks of self-improvement using every step of the Life Editing Process. Delete, add, and rearrange your way to your authentic life story. You've never felt this motivated before! This 9-week time management course is for busy women who are ready to finally start their own businesses whether they have 60 days, 60 minutes, or 60 seconds. 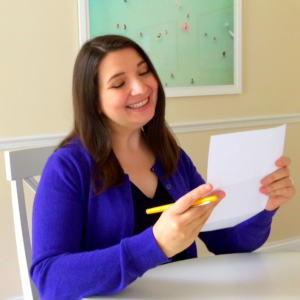 You read that right–you can make progress on your business in as little as 1 minute. This is an intense 12-week productivity course that helps you pinpoint your most important priorities, develop step-by-step project plans, and achieve your biggest goals faster than you ever thought possible. We use the Life Editor 12 Week Planner to stay on target and our private Facebook group for added accountability. Be sure to jump on our group calls to speak directly to me and get answers to all your productivity questions. Couldn't make it to my live event here in Orlando, Florida? No worries! 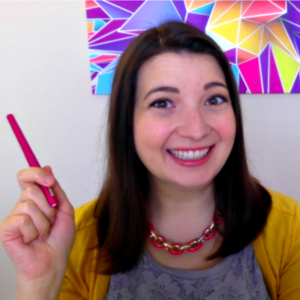 Enjoy a retreat in the comfort of your own home with these training videos and learn how to stop drifting through your life and start editing it. There are practical life editing sessions, goal planning, business strategizing, and Q&A with me. 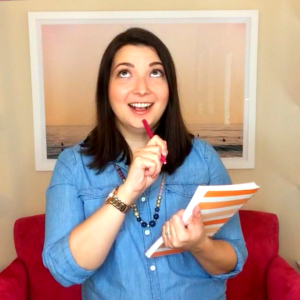 This group mastermind program is for ambitious women who are ready to go after their goals, make tough choices about what they do and do not want in their lives, get real and raw, and push through every obstacle in their way. 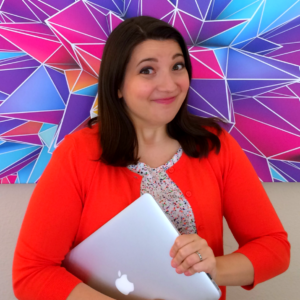 You know, learn how to be kickass Life Editors! Doors open March 2019. In order to provide continuous service, your Life Editor Clubhouse membership automatically renews on the date your subscription expires, usually 12 months after the date of purchase. This is what is meant by "annual subscription." You will always receive an email 5 days before the renewal with instructions to cancel your membership if you so desire. Unsubscribing from my marketing emails does not cancel your paid subscription. By entering into this agreement, you acknowledge that your account will be subject to the above-described automatic renewals. Due to the nature of the Life Editor Clubhouse and the materials housed within, refunds are not offered on annual subscriptions. Immediately after purchase, you will have access to more than 100 hours of video trainings, audio recordings, and webinars in addition to dozens of worksheets, guidebooks, and resources. There is nothing preventing you from downloading and using all the materials immediately, so refunds will not be authorized if you decide you you no longer want to be a member of the Clubhouse. Annual subscribers will receive an email 5 days before renewal with the option to cancel. Unsubscribing from my marketing emails does not cancel your paid subscription. Refunds are not offered after the 5-day cancelation window. It is your responsibility to make an informed decision before you purchase an annual subscription. Please send an email to sage@sagegrayson.com if you have any questions. 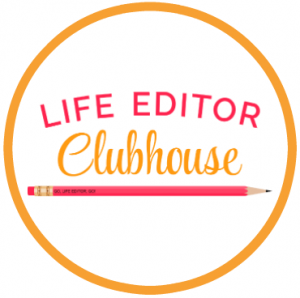 Questions about the Life Editor Clubhouse? Please send an email to sage@sagegrayson.com.